The 340 million diabetes sufferers in the world have plenty to worry about: eating well, getting exercise and regularly monitoring the amount of sugar in their bloodstream. That last step is a crucial tool in treating the condition and preventing complications over the long run. Now, research from an ASU professor is being used in the quest for a non-invasive alternative. 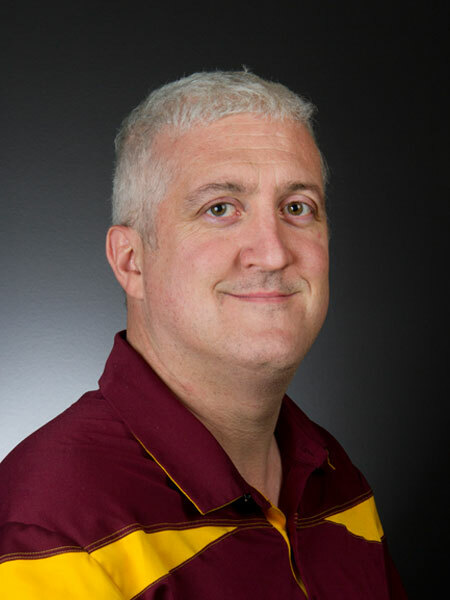 Arizona State University engineering professor Jeffrey La Belle’s use of biomarkers – measurable indicators of wellness or disease – in body fluids to diagnose and monitor individuals’ health is finding a new application through a commercialization agreement with a United Kingdom-based technology development company. Tekcapital has exclusively licensed a patent for a device that specifically measures glucose levels in saliva, which if successful could eventually replace current tests that require individuals with Type II diabetes to prick a finger multiple times each day to draw blood samples. This non-invasive alternative would be a significant benefit in convenience, comfort and treatment compliance for the more than 340 million people living with diabetes. The device collects trace fluid samples from a biological surface for electrochemical analysis to detect glucose, a metabolic product in saliva, using disposable biosensor strips. La Belle is an assistant professor in the School of Biological and Health Systems Engineering, one of ASU’s Ira A. Fulton Schools of Engineering. The device patent was awarded to La Belle and co-inventor Daniel Bishop, who graduated from ASU in 2009 with a degree in biomedical engineering. Bishop is now co-founder and chief innovation officer of Qualaris Healthcare Solutions, a Pittsburgh-based medical-product development company. Tekcapital seeks out university research that can fill client and market needs. Dr. Clifford M. Gross, Tekcapital’s executive chairman, said the company is excited about the potential of La Belle’s work. “The self-monitoring of blood glucose is a significant industry, and we look forward to commercializing this technology with one or more leading medical-device companies that can benefit by making it easier and painless for diabetics to measure glucose,” Gross said. Diabetes is a chronic disease that occurs either when the pancreas does not produce enough insulin, a hormone that regulates blood sugar, or when the body cannot effectively use the insulin it produces. Hyperglycemia, or elevated blood sugar, is a common effect of uncontrolled diabetes and over time leads to serious damage to many of the body's systems, especially the nerves and blood vessels. Earlier this year, Advanced Tear Diagnostics, a medical-products company based in Birmingham, Alabama, licensed the same technology to improve and expand the use of tear fluid as a means of detecting various ocular (eye) disorders by measuring certain biomarkers it contains. That project led to research collaborations and funding support from Mayo Clinic in Arizona. The measurements would help in the diagnosis and treatment of a variety of ocular surface disorders – particularly in detecting and differentiating between bacterial and viral infections, including one of the most common infections, conjunctivitis, also called pinkeye. Advanced Tear Diagnostics is providing $496,000 for the project over a year’s time and plans to commercialize the final product. Both licensing agreements were negotiated by Arizona Technology Enterprises, ASU’s exclusive intellectual property management and technology transfer organization. AzTE works with ASU faculty, post-docs and graduate students to help move university inventions from the lab to commercial application. Licenses frequently lead to collaborative research relationships or sponsored research agreements that lead to long-term relationships between inventors and outside organizations. Over the past five years, AzTE has facilitated the flow of more than $37 million of industry-sponsored research into ASU labs. In fiscal year 2014, ASU faculty working with AzTE set new record highs in invention disclosures (261), U.S.-issued patents (56), start-ups (12) and licenses and options (90). To date, more than 70 companies have been launched based on ASU discoveries. In just the past three years, these companies and their sub-licensees have attracted $163 million in funding from venture capital firms and other investors. A new Arizona State University research study has revealed the fine details of how an experimental drug works to regulate blood pressure, paving the way to the development of better drugs. The new research focuses on a type of drug known as an angiotensin II receptor blocker, or ARB. Used by millions of people each year, ARBs are designed to block a receptor so it cannot bind with angiotensin II, a hormone that constricts blood vessels to cause an increase in blood pressure. “Uncovering the structure of the angiotensin receptor is a real breakthrough in the development of better drugs to regulate blood pressure,” Fromme says. It has been unraveled by a new technique called femtosecond crystallography, pioneered by researchers at ASU and their collaborators. The technique for uncovering these atomic scale structures uses a jet of tiny crystals that are exposed to super-strong X-ray pulses. These powerful bursts of light destroy any solid material but are so short that the structure of the receptor can be discovered before the molecule is destroyed. The structure reveals – in atomic detail – how the drugs block the receptor. 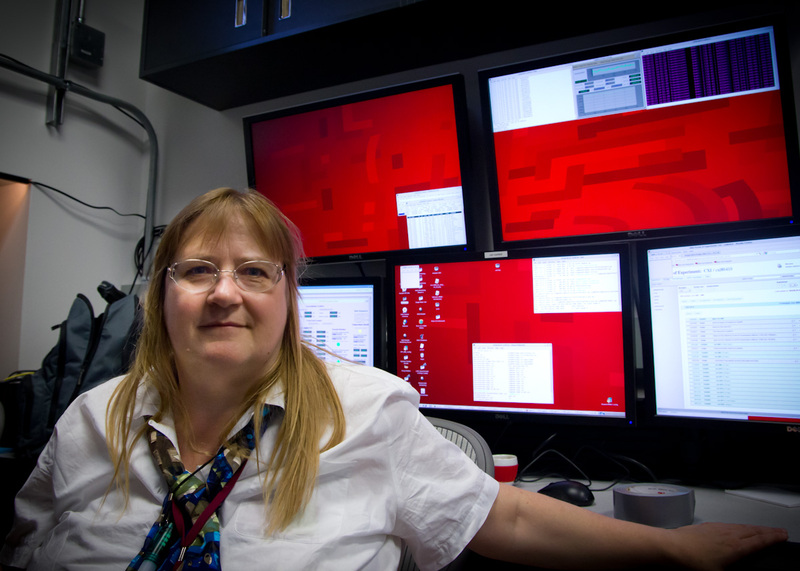 “Many ARBs have been developed, but the interaction between the drug and the receptor has been unknown at the atomic level,” said Vadim Cherezov, a chemistry professor at the University of Southern California (USC) who led the experiment in collaboration with nine other institutions at SLAC’s Linac Coherent Light Source (LCLS) X-ray laser, a DOE Office of Science User Facility. Solving the structure of the joined ARB and receptor brought researchers a number of surprises. “We have shown that all of the previous molecular models – the best guesses for how receptor and drug fit together – were wrong in many important details,” Cherezov said. Results of the new study – the first to examine the detailed structure of a drug-receptor complex through high-speed X-ray crystallography – are detailed in the April 23 advanced online edition of Cell. Given the importance of anti-hypertensive drugs, researchers have sought to uncover agents or mechanisms that will more actively and efficiently control blood pressure, streamline therapy and improve results. One third of U.S. adults suffer from high blood pressure or hypertension and take prescription medication to treat it. Known as a “silent killer” because the condition often produces no outward symptoms, hypertension is a major risk factor for heart disease and stroke, the leading causes of death in the U.S. ARBs are a multibillion-dollar industry, with fewer side effects than other hypertension medications. But because their effectiveness at higher doses may be limited, they are often used in combination with other drugs, complicating treatment when patients fail to follow the complete regimen. In the vast majority of cases, hypertension occurs in primary form, meaning that its underlying causes are unknown. In secondary hypertension, the condition arises as a result of a known affliction, including chronic kidney disease, arterial narrowing or a preexisting endocrine disorder. Left unchecked, severely elevated blood pressure can lead to a "hypertensive crisis," a condition carrying significant risk of complications. These may include visual deterioration due to retinopathy, breathlessness accompanying heart failure or acute kidney failure. Generally, a hypertensive crisis occurs when some trigger causes already elevated blood pressure to sharply spike. The new study examined nanoscale crystals of an experimental ARB coupled to an angiotensin II receptor. The study of such medically important molecules is carried out using brief pulses of intense X-ray light. The tool of choice, a high-speed laser capable of taking vivid snapshots of biological material, uses X-rays a billion times more powerful than conventional light sources. Like an inkjet printer, a fine spray of tiny crystals of the ARB-receptor pair is injected onto the path of the X-ray beam, which instantly vaporizes the sample. Crystalized samples are imaged on the scale of femtoseconds. A femtosecond is 0.3 “light micrometers,” a timespan so brief that in 1 femtosecond, a light ray would cross a distance barely the size of a virus. The concentrated X-ray beam vaporizes the sample, but the pulse is so short that the delicate structure is captured before the molecule is destroyed. Using femtosecond X-ray crystallography, the researchers were able to precisely determine the crystal structure of angiotensin II type1 receptor at a remarkable resolution, down to 2.9 angstroms (one ten-billionth of a meter – the width of a single hydrogen atom). Contributions from ASU researchers included the crystallization of samples and biophysical characterization of the drug-receptor constructs, data collection and evaluation, as well as development of the devices that deliver the stream of nanocrystals. The work is based on a team effort of ASU faculty Petra Fromme, Wei Liu and Uwe Weierstall with their teams of researchers and students, including: Nadia Zatsepin, researcher in the Department of Physics; graduate students Chelsie Conrad and Jesse Coe from the Department of Chemistry and Biochemistry; and Daniel James, Dingjie Wang and Garrett Nelson from the Department of Physics. In the future, the researchers hope to study the receptor in combination with other drug compounds to fill in even more details and accelerate the design of new drugs to modulate blood pressure and improve human health.